The holidays can be very stressful. Planning dinners, travel arrangements, holiday parties, activities for kids, shopping for gifts, wrapping, or just dealing with family; it all can cause stress. For myself, this time of year gets very crazy for me and I don’t know if I’m coming or going. 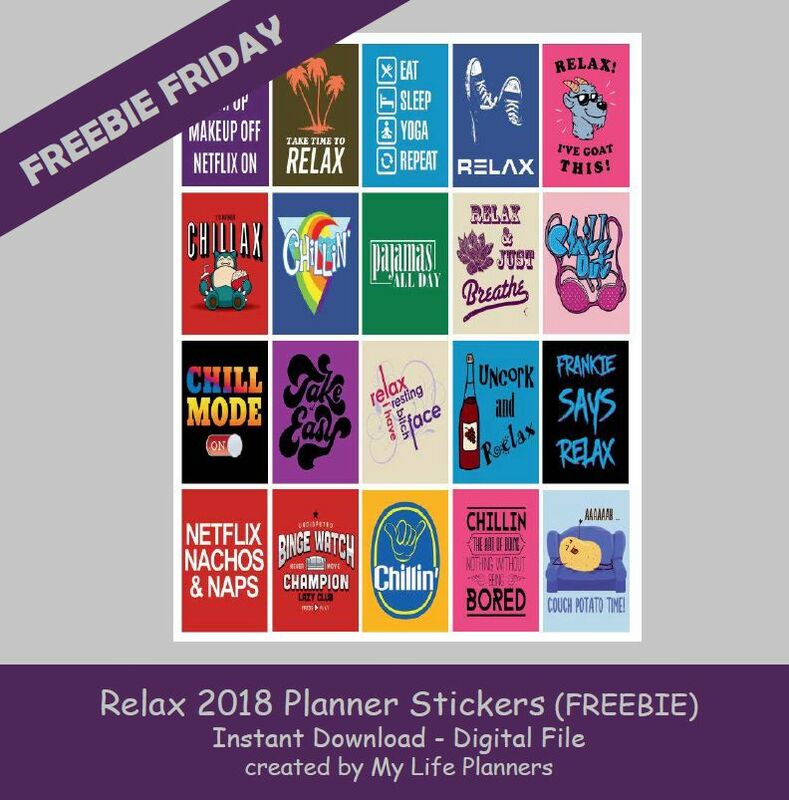 For Freebie Friday feature, I decided to add some reminder stickers to my planner to relax. Who couldn’t use these. So while you are planning all your holiday to do’s, make sure you plan time to relax to enjoy the holidays too.